Since the age of 14 when I got my first pair of ghd hair straighteners, I've been hooked. 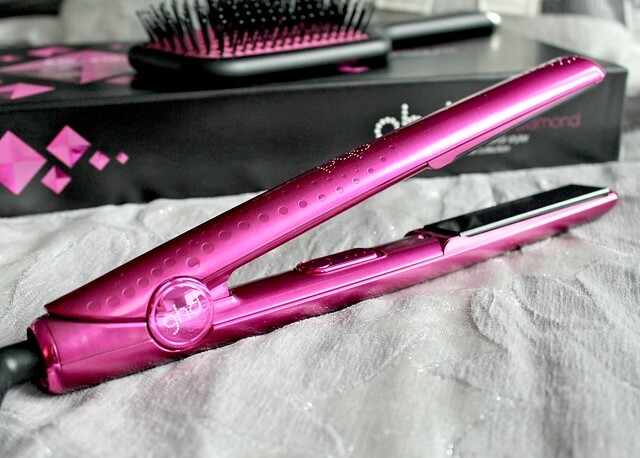 In my opinion they're the classic hair straightener and although I've tried and really enjoyed using straighteners from other brands, I always come back to my trusty ghds. I still remember getting my first pair to this day and I thought I was the coolest kid on the block with my slicked down Avril Lavigne style hair. Big hair clearly wasn't the in thing back then - thank god times have changed since. I've had a couple more pairs since then but generally because I've wanted the updated design, not because they've broke so its safe to say that when you invest in a pair of ghds, they last a long time. That's why I personally think they're worth the investment - I know I can rely on them and they're a quality product. 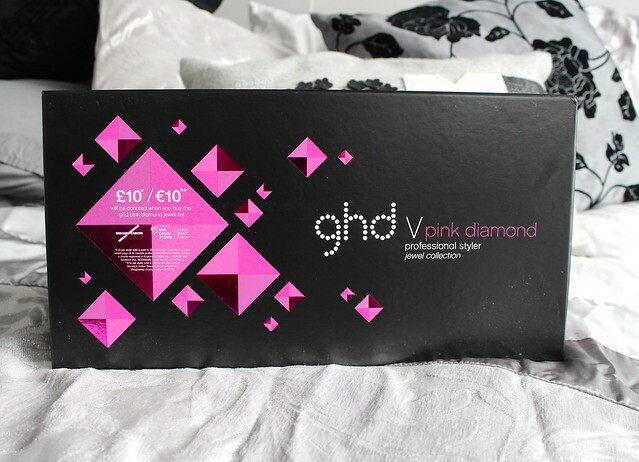 My current ghds were recently upgraded for the brand spanking new 'Pink Diamond'* design and I couldn't be more chuffed with them. For the past ten years, ghd have released a limited edition pair of pink hair straighteners each year to support Breakthrough Breast Cancer and so far more than seven million pounds has been raised for the charity. 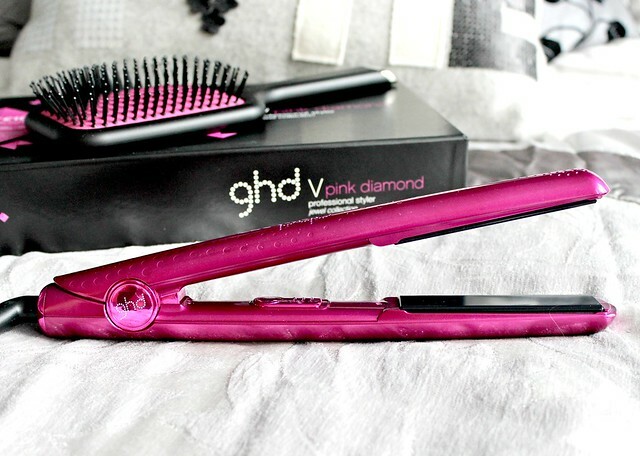 I think its amazing to see a huge brand like ghd doing something to support such a great cause. 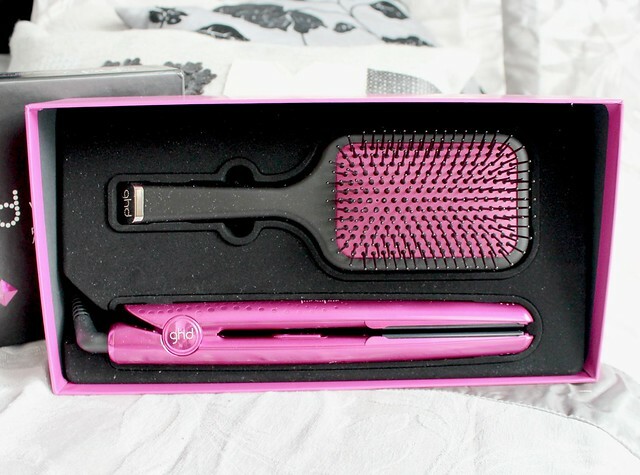 For every pair of Pink Diamond sets sold (the set includes the straighteners and the paddle brush pictured above), £10 is donated to the charity. So not only do you get some beautiful new straighteners and a fab brush to match but you're also doing your bit for charity. Win win. So, what do I think of the straighteners? Firstly, just look at that design. Isn't it beautiful? Anything girly and I'm all over it so the pink design couldn't be more perfect for me. It even has black sparkly plates - even better. It also has a innovative sleep mode which means the straighteners automatically turn themsevles off if they haven't been used for 30 minutes. This is such an important feature for me as I'm the ditziest person of all time and there's been far too many ocassions I've left the house without turning my straighteners off and all hell has broke lose in an attempt to dash home before I burn the house down. Please tell me I'm not the only one whose done this? I also love that they have an extra long swivel cord as thats very convenient if there isn't a mirror directly next to a plug and you need to stretch them quite fat. If only Apple would take note of this feature - their phone chargers are the bain of my life! As well as looking pretty and having nifty little features, they also style my hair exceptionally well which is of course the reason we buy straighteners in the first place. The plates glide over my hair with ease without tugging or pulling and they create a sleek style effortlessly. I tend to use them for curling my hair and as you can see in the photos above (apologies that the last one is slightly blurred - my camera wasn't being my friend), I like to go for a messy waves look on a day to day basis and I can easily create that look by curling my hair with the ghds, running my fingers through it to loosen everything up and adding a touch of sea salt spray for some texture. However, I also like to wear my hair in 'proper' glamorous curls for an evening out and they work just as well at creating that style too. To be honest, any style you can think of can be done with these straighteners. ghd have even showcased all the hairstyles you can create here on their website. If your current straighteners need upgrading or you're unsure of what to get for Christmas, I can't recommend these enough. They look beautiful on my dressing table and help me achieve styled hair effortlessly. 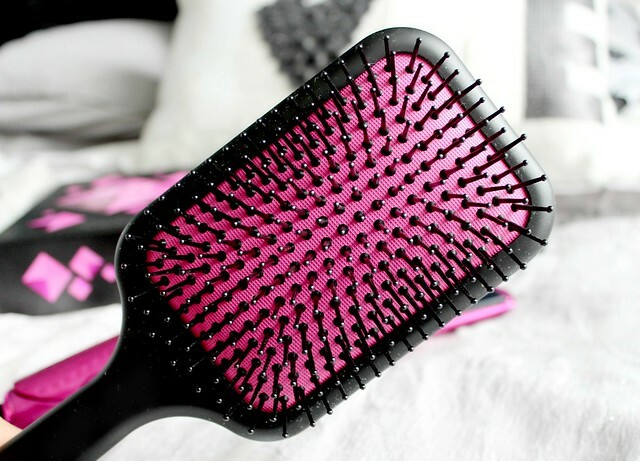 They're a holy grail item for me and my hair would be totally lost without them. They can be found via the ghd website here and slighlty cheaper here via Look Fantastic. What do you think of the new ghds? Which straighteners do you use? Oh my goshhhh! They are sooooo pretty! I have been umming and areeeeeing over buying a pair of GHDS currently using a remmington pair that pull s much hair out! Love how you have styled your hair with them! This could well be on my Christmas list! Oh these are gorgeous, I must admit I converted to cloud9 but these I'd switch back for! Pretty! I love your blog and I love your hair (in a non creepy way!) so I have nominated you for the sunshine award! Check out the rules and the questions on my blog. I have to agree with you! I've love GHD's and always end up going back to them! I have the Limited Edition pastel colours and love mine! :) X. These look gorgeous :) I have been wandering whether to get some ghd's and after reading this they seem like the best investment! I also love the design, anything pink and sparkly in my eyes is perfect! The brush! i'm very fond of big brushes like that! Maybe you like my blog? These are beautiful, and love that they are for a good cause too :) lovely hair!! Wow. I love the waves. I like the colour, great review! 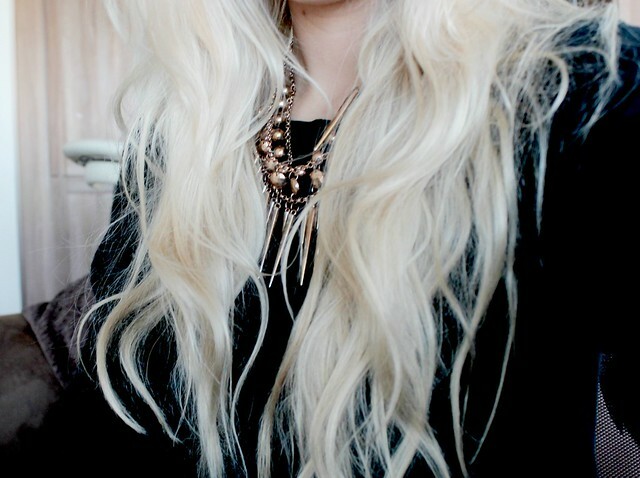 Please let me have your hair!! Wow! I love GHD's and they look fantastic! I love all the different designs they have. Mine are starting to dye on me, I've had them for so long now. I think its time for me to look for a replacement!.